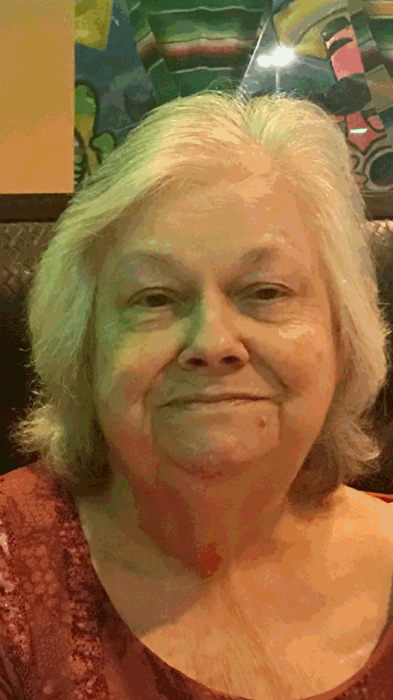 Patricia Ann Baker Roar Osborn, 76, of Olive Hill, KY, entered into rest Tuesday, November 20, 2018 at King’s Daughters Medical Center in Ashland, KY. She was born February 27, 1942 in Grayson, KY, a daughter of the late Shirley Baker and Inez Baker-Wilcox. Mrs. Osborn was a homemaker and loved canning. A member of Unity Baptist Church, she enjoyed serving the Lord and spending time with family and friends. In addition to her parents, she was preceded in death by her first husband, Bobby Roar in 2010; step-father, Earl Wilcox; and one sister, Shirlene Abbott. Patricia is survived by her husband, Beech Osborn; two daughters, Priscilla (Anthony) Hicks and Connie Erwin; one son, Robert Roar, all of Olive Hill; four sisters, Margarett Faye Williams of Oxnard, Ca, Rose Mary (Carl) Fannin of Olive Hill, Deborah Carroll Bond of Winchester, KY and Pamela Diane (James) Thomas of Morehead, KY; one brother, Burford Allen (Kaye) Baker of Midland, AR; fourteen grandchildren, Wayne Russell, Bobby Russell, Johnny Hicks, Amanda Barker, Robert Roar, Jr., Brandon Roar, Vanessa Blodgett, Tracy Murry, Mark Kiser, Carla Stamper, Chassidy Bowling, Jeremy Bryant, Katrina Tackett and Toby Waugh; several great grandchildren and great-great grandchildren; and two special friends, Oma Frazier and George Barker. She also leaves behind many other family and friends who will greatly miss her. Funeral services will be conducted at 12:00pm on Saturday, November 24, 2018 at the Duvall & Moore Funeral Home with Bro. Dwayne Johnson and Bro. Jason Johnson officiating. Burial will follow at the Baker Cemetery in Olive Hill, KY.